Vintage Loop supplies the following Jensen speakers for repair, replacements, and upgrades to your contemporary and vintage amplifiers. 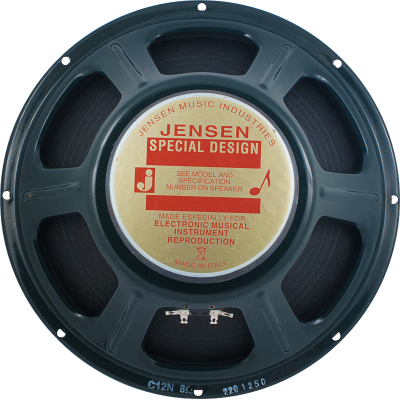 Jensen gained prominence in the 1950's from Fender, and other luminaries in the amplifier industry, most notably for the Jensen P10R, P12N AlNiCo series, and C10Q, C12N, C12K ceramic series. 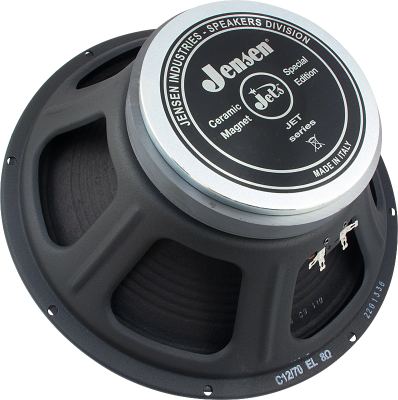 The Jensen Blackbird, SICA, JETS, MOD, and NEO speaker lines are recent innovations. 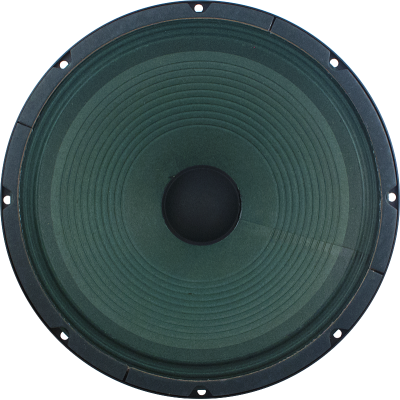 Largely remaining a Fender mainstay, you can get the speakers that give exceptional tone through Vintage Loop. Contact Vintage Loop for other speaker availabilities @586-786-1767. Jensen P8R: 1.0" VC, magnet @7 oz., 80-8k, 25 watts, USD$87. Jensen P10R: 1.0" VC, magnet @7 oz., 80-6k, 8ohms, 25 watts, USD$110. 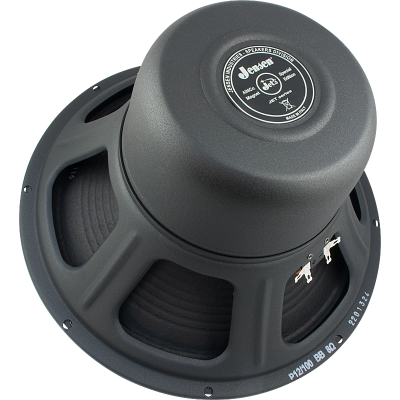 Jensen P12Q: 1.25" VC, magnet @10.5 oz., 60-8k, 8 ohms, 40 watts, USD$125. Jensen P12N: 1.5" VC, magnet @12.5 oz., 8 ohms, 50 watts, USD$240. *** P12N-NB, USD$216. Jensen P15N: 1.5" VC, magnet @12.5 oz., 50-4k, 8 ohms, 50 watts, USD$272. Jensen C10Q: 1.25" VC, magnet @15 oz., 80-6k, 35 watts, USD$54. Jensen C12N: 1.5" VC, magnet @28.5 oz., 70-7k, 50 watts, USD$85. Jensen C12K: 2.0" VC, magnet @50 oz., 70-7k, 100 watts, USD$108. Jensen C15K: 2.0" VC, magnet @ 50 oz., 50-4k, 100 watts, USD$134. Jensen Blackbird, 10", AlNiCo, fantastic tone!, 100 watts, USD$265. 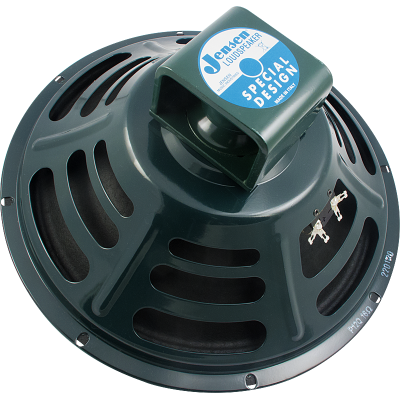 Jensen Blackbird, 12", AlNiCo, the ultimate!, 100 watts, USD$289. Jensen Electric Lightning 12", Ceramic, 70-6k, 70 watts, fat lows, throaty mids, crisp bright highs, USD$108. Jensen SICA: 10-300 @USD$call._____ 12-300 @USD$call. ______ 15-500 @USD$call.